This post describes in more detail the research and clinical findings of the three electro-medicine devices reported in Vitamin Electron that were researched and developed by Bob Beck DSc. How to make or obtain these devices is given below. Applying small micro-currents to the brain containing select frequencies has the effect of normalizing the release of our natural neurotransmitters involved in pain control, memory, mood and sleep. (The release of these is inhibited by stress). The micro-currents can be applied via conductive ear-clips. It is reported that 95% of those with stress related imbalances (anxiety, insomnia, addictions and depression) experienced a complete reversal of their symptoms in less than a month of daily use of this type of device for 20-40 minutes. Research with Beck’s Brain Tuner gained attention in two books published in the 90’s: Mega Brain Power, by Michael Hutchison and Super-Learning 2000 by Sheila Ostrander & Lynn Schroeder. (Beck won the Fetzer foundation pioneering award in 1990 for his work in brain research in the 1980’s. The culmination of this research was the development of the Brain Tuner, a cranial, electro-stimulation (CES) unit.) Suggested ‘dosage’: a 20-minute session, 1-2X/day for 1 month. Maintenance is 1-2 sessions per month. Our many neurotransmitters are stimulated at specific frequencies. For example Beta-endorphins (which are 100X more powerful than morphine) are stimulated between 90-111 Hz. The Brain Tuner is designed as a frequency provider. It generates a wide range of frequencies deemed effective by research in bioelectric medicine. The Brain Tuner produces many frequency harmonics simultaneously which, according to Beck, contain “all known beneficial frequencies for the stimulation of the brain’s natural neurotransmitters.” Some frequencies are also known to simulate tissue regrowth where the blood cells have been shown to undifferentiate (essentially forming stem cells) and then differentiate to regrow damaged tissue. Studies are still ongoing in many of these areas, but people are noticing marked improvements in the treatment of ADD, phobias, and addictions (including prescription drug addiction), and memory loss. Anxiety reduction is usually felt during the first treatment and the effects are cumulative. Depression and insomnia are usually controlled, if not resolved, in two to three weeks. Typically, individuals will report a range of improvements. Most often reported…. Most individuals describe focused deep relaxation, even when high emotional tension or stress have been present. Following the initial 2 to 4 week application routine, many individuals experience significant positive changes in their outlook and in their relationships with others. Many users experience better mental clarity and feelings of improved self-esteem. Concerning addictions, it seems that when a person turns to drugs, the body — or brain — ceases making some of its own neurotransmitters, for example, its own pain-killers called endorphins. Putting a weak electromagnetic signal into the body, especially the head area, stimulates the brain into producing its own neurotransmitters again, including endorphins. Amazingly, the craving for the drug disappears in three to ten days and without withdrawal symptoms. A discovery in the early 1990s, showed that blood that was removed from the body and ‘electrified’ with a very small alternating current, made the blood cells impervious to microbes. Electrodes are held on the wrist over the pulse points. US patent 5,188,738 was filed in 1993 by the same author reporting efficacy against HIV. It appears that the goal was to decontaminate donor blood. Only 50 to 100 micro amperes were needed to accomplish this result. The implications of this discovery were huge….and were supposedly suppressed. Bob Beck DSc, a physicist and inventor himself attempted to duplicate these results without removing the blood from the body. He devised a way to ‘electrify’ the blood by using narrow conductive electrodes covered with cotton placed external to the body where the arteries came closest to the surface. (The placement is determined by feeling for the pulses then aligning the electrode over that artery.) The device uses a 9V battery which is amplified to 27 V to get through several layers of cells to deliver 50 micro-amperes to the blood. Darkfield microscopy shows that blood electrification resolves rouleaux – an inflammatory state of red blood cells that causes them to stick to each other like a roll of coins. This state greatly reduces nutrient and O2 delivery. After gentle blood electrification the red blood cells separate resulting in better circulation thus better delivery of nutrients. Fibrin levels also decrease. It has also been shown that levels of interferon and several interleukins increase after blood electrification. Some of these effects are also observed with anti-oxidants and enzymes. Since many diseases like diabetes and cancer are associated with oxidative damage, it is not surprising that blood electrification has already shown promise in reversing these. The authors of the original patent did not claim/prove that the microbes in the blood were being killed by this treatment so this device is not considered a ‘zapper’ (after Rife or Clark), rather, they claim that the blood cells appeared to become impervious to penetration by the virus. It is as if the blood electrification energized or fortified the cell walls. So as long as the blood cells were ‘fortified’ by the anti-oxidant-like effect of the electrons, then viruses could not enter the cell. Once the treatment stops, the blood cells may again become vulnerable after a period of time. And the treatment should be repeated. And consider that, results may vary. Do the treatment before taking drugs, caffeine, and herbs as some report a potentiation effect. Begin with treatment times from 10-20 minutes and if flu-like symptoms occur, reduce and then increase time gradually to one hour. Alternate the location of the electrodes each day. 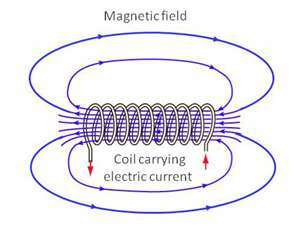 A current through a coiled wire creates a magnetic field with a north and south ‘pole’. As the current changes, so does the magnetic field. Many are familiar with the use of magnets for healing. The PEMF is a ‘pulsed’ electromagnetic field. That is, the strength of the magnet increases and then decreases in a pulse-like fashion. Patent 5743844 states, “Pulsed electromagnetic fields (PEMF) are low-energy, time-varying magnetic fields that are useful for treating therapeutically resistant problems of the musculoskeletal system. Those problems include spinal fusion, un-united fractures, failed arthrodeses, osteonecrosis, and chronic refractory tendonitis, decubitus ulcers and ligament, tendon injuries, osteoporosis, and Charcot foot.” The FDA has even recognized its efficacy and has ‘cleared’ PEMF for fusing broken bones, depression, and post-operative pain and swelling. Darkfield microscopy shows that PEMF also resolves rouleaux – the tendency of red blood cells to clump together like a roll of coins. After a PEMF session the red blood cells separate resulting in better circulation and better delivery of nutrients. NOTE: The PEMF devices should not be activated near computers, credit cards, cell phones and other magnetically imprinted materials. Dr Beck wrote out all his instructions in his book A First Aid Kit of the Future: The Beck Protocol. Here is Part 1, Part 2, and Part 3 which describe the patents, magazine articles, making the devices, the protocols and the results. (I differ on his view of destroying microbes and have a different understanding of how these work in the body as described elsewhere.) His devices can be made fairly cheaply. Several companies make these for the electronically impaired. (But I have a physics degree and a masters in electrical engineering and decided not to tackle the components and soldering gun but rather to find the already working and tested units commercially available.) Please contact me privately below for commercially available units since the manufacturers of these units wish to remain separate from information regarding how some people use these units….since results may vary. Nutritional support while micropulsing would include high-powered anti-oxidants like Brain Protex which is a blend of potent anti-oxidants which can cross the blood brain barrier, Grapine HP and Super ORAC , 2 of each 2X/day. (This comes from my experience testing folks who have started micropulsing). Interested on machines I can buy for electro medicine. Also should I use brain protex and grapine with the other herbs? Hey Keith, You may want to consider doing 1 Grapine HP with breakfast and dinner. I will send the info privately along with other applications that I have found helpful. as I know I have rouleaux the micropulsing seems like a good idea. Would appreciate information. A live-blood cell analyst here got a micropulser because of the change she saw in the blood before-and-after. Anti-oxidants and enzymes do the same kinds of things to improve the blood. I will send you info privately on obtaining the one I have. Hi Pat, Please have your office Mgr. look for the email I sent two days ago. It is urgent I see you before the 29th of this month. My chiropractor, Dr. Cook who has Peninsula Pain & Rehab in N.New, told me to look into a Best Zapper, however, they are out of the office until Feb. 6th. I need help NOW!! Do you know of this machine(Hulda Clarke invented it I think). God Bless and look to hear from you soon. My office manager often doesn’t work on weekends and if you sent it after hours on Friday, she won’t get it until Tuesday as we have off on Monday…so please be patient with us. Yes, I know of and even had built Hulda Clark’s zapper – maybe 15 years ago. However, I do not have it now nor do I recommend anyone using it. Killing microbes is ill advised as they have purpose. Killing microbes NEVER addresses the underlying cause of any illness. After zapping you have a bunch of dead debris clogging the lymph and STILL have the weakened tissue state that brought microbes there in the first place. So how are you better off? I’m interested in possibly getting the PEMF device. Can you send further information? Thank you for all these good articles, so clearly and elegantly written. Makes it easy for me to learn what I need to learn. Interested in receiving your information on Blood Electrification via Micropulsing as well as PEMF when you are able to provide. Thanks so much in advance for your assistance. I just resent you the message that I sent you on Mar 21st. Can you check your spam folder? Let me know if you haven’t gotten it. I have edema in my right lower ankle and calf. No blood clot. I think it could be lymph congestion. Lymph node in right groin area is swollen. Do you have a protocol that could help my condition. Condition varies from week to week. I am an active person that enjoys exercising. I just read the information on your website last night and found it very helpful. “Lymph node in right groin area is swollen” is a big key that this swelling is a result of lymphatic congestion. If you can find someone with a PEMF device – sometimes chiropractors have them – I’d go to work right away on that node. I’ll send you info privately on this device. Often a node in the groin area becomes congested because of a missing appendix or congested bowels. Something you can begin doing is the ab massage esp scooping up the guts off that area. That post will explain the effects of gravity on the lower pelvic – especially with runners. These are general suggestions but without knowing other factors about your situation it would be hit-or-miss suggesting herbs. You can do an email consult and the two-page form gives me other data. I am interested in the PEMF device you spoke of, please send me more info. I do benefit from and appreciate so much your sharing of the ‘things your clients have taught you’. Of course it is your knowledge and putting it all together for us that makes it such a helpful site. THANKS for sharing your wealth of information. After doing some research following our phone consultation, I’d like to go ahead and order the Brain Tuner. Can you provide me the contact information please? I have always trusted in divine intervention. Yesterday, I found your site and appreciate the amount of time and energy you have invested. It is a huge benefit to those truly seeking a return to or maintaining health. The info resonates with my long standing core beliefs on body mind and spirit. My brother, Nephew and Brother-in-Law are DOs and my in-laws and sister are RNs. I have always bucked the system and investigate the PDR on prescribed RX when medical treatment was needed. Been a practicing Licensed Embalmer for 30+ and have seen first hand medical treatment gone wrong. My husband’s father had Alzheimer’s and Parkinsons and died in his early 60s. My husband is 58 and is starting to develop a very slight tremor in right hand when holding things and forgets simple tasks. My mother (75yrs) is advancing with Alzheimer’s as is her youngest female sibling. Their father died from it as well at 82 so on the move to help myself since I am 52 and need to be on my ‘A’ game to care for my spouse. I have been using massage and Reflexology on my spouse since I am also Nationally Certified. Looking into the use of Cranio Sacral Therapy as well. A year ago, I had him remove coffee and red meat. He still drinks Green and Black Tea since he is a truck driver. He does not drink alcohol and smoked 25 years ago. The garbage food available on the road is not helping. He consumes mostly chicken and fish when it is availble. He gets NON GMO Organics when he is home. I have been reviewing your protocols for Nerve and Memory issues and very interested to get more infomation on Beck’s Brain tuner. We live in CA. You will love the BioTuner. I will send you the info privately. As fas as your observations of your husband, it is safe to improve circulation and gently clear liver and bowels. Sometimes doing these basic things clears up many problems. I’d consider Target Endurance 3B, 3D and LB-X, 3B and reduce with improvements. He can also consider an email consult. I checked out the link and listened to all the posted video clips. On a personal level, do battle with A.D.D and got excited about the info on the Bio Tuner. Thinking about also adding the PEMF due observations of random bilateral occurances creepying in. Please respond privately for info on email consult. I use to have a Cranial Electro Stimulator that I used when going through chemotherapy and radiation for breast cancer. Dr. Trail who use to be in Williamsburg got it for me. Where can I purchse another one. I would like to use it for my unmanageable hot flashes. I would also be interested in any information on PEMF as I have bone on bone issues with my knee. I sent the info to your email address. Ron is trying to find natural ways to control his blood pressure. Have you known anyone who has used PEMF to help with high blood pressure? I would think the Brain Tuner might be a good device to try. I can loan you one to see if it helps him. Call Brenda. I have rouleaux ….assume it is due to having the clotting disorder anti lipid phoshate. Knowing that essential oils all have a vibrational frequency …have you tried those? I’ve also seen slides that show a rouleau formation before and after drinking …[..]. Have you looked into this? I would take this in a heartbeat if i had proof it worked. Many things resolve rouleaux and most of them are electron donors, like antioxidants. Almost all the new-on-the-market exotic berry-based fruit drinks are high in anti-oxidants. Enzymes also have been shown to resolve the results of inflammation on the blood. You have to keep in mind that there are things that may make a quick change in symptoms, and then there are things that address the underlying cause. Remedies that address symptoms have to be continually applied – and that is fine – to bide time until the underlying cause is addressed. IF the underlying cause is not addressed, your situation will progress to the point that your attempts to mask symptoms [for example with anti-oxidant drinks] will not work anymore. Pat – Are the electrical devices contraindicated for breastfeeding/pregnant moms? In my field it seems as though everything is contra indicated for breast-feeding or pregnant moms. Having said that if I were pregnant, I would feel comfortable using some of these away from the abdomen. Yes I am familiar with light therapy devices. I have these kind. My belief is that our hands can do even more than any light device. I would like to receive info on Electro therapy devices. I have Prostate cancer, high blood pressure, and elevated cholestriol. I would like to augment my natural treatment of conditions. I would encourage you to include a protocol for increasing blood flow to the area. That may be why BP elevated – too much resistance getting to the site – which allows for an untoward process to go unchecked. Cholesterol can easily be addressed by following your blood type diet and increasing anti-inflammatory & anti-oxidant formulas. I was so grateful to find your site. Thank you for the work you do! I have had all the symptoms of Chronic Fatigue Syndrome for the past two years – including a co-infection of candida overgrowth – but spent the first 18 months of that being misdirected by allopathic doctors. I am now certain that one of the root causes is a viral infection. I’ve been treating the candida with proper diet (a sugar/starch/yeast-free version of my blood type diet) and supplements from Peter D’Adamo and I feel its largely under control. I recently came across your article on electro therapy and my husband is now in the process of building the blood electrifier and the magnetic pulser. An internet search shows this to be a very controversial subject and its easier to find opinion and conjecture than trusted anecdotal evidence. Do you have anecdotal record of successful treatment of any viral infections in your practice and/or do you know of any other naturopathic practitioners who use this treatment method and publish their results? Thanks so much, and all the best! Thanks for your kind words. I address these issues in the Fatigue post, and the Getting Sick post. Please read carefully and take seriously all the recommendations. Someone told me about Hulda Clarks book and I needed a zapper. Wonder how I have missed this part of your site? Would you let me know what you recommend? Thanks! I’m not a fan of zapping as it does not address the underlying cause of infections or parasites, AND, it has a disorganizing effect on the body’s energy field. I think the zapper promoters appreciate the load created on the liver and kidneys and have cautioned people about these things (hopefully). When you get sick the question to ask is not “why am I sick?”, but rather, “why didn’t my body fix me?” If the underlying rectifiers of disease are not working, you have far serious problems than infections and parasites (main reasons zappers are promoted). Thanks you so much for this useful information Pat. I refer to your site often and it is always helpful. I am very interested in trying the PEMF device, but I have some questions about whether it is it safe to use since I have metal in my body. Specifically, I’d like to use it in my jaw area and the lymph nodes under the jaw. I’ve had my amalgams removed, but I have metal in my teeth in the crowns and in the metal posts under the crowns. Since the device exerts a strong magnet pull, is there a possibility that it will move the metal in my teeth? Or interact with the metals in any other way that might be harmful? Since so many people have metal in their teeth, I imagine this issue has come up, but I can find nothing in my research. I also have titanium hip replacements. I could simply stay away from that area, but my question is, are the effects only local (in the treated area) so that if I, say, treat my swollen ankle, it would not affect the hip area? Yes Judith, it is safe to use. Metallic implants are made of non-magnetic metals (I’m not refering to electronic devices). Everyone can verify this with their surgeon or the manufacturer of the implant. If they have a sample of the titanium material used in the mouth or hip, you can place the sample on the head of the PEMF and see if it moves. I doubt it will, but this would prove it to you. That said, the maker of the PEMF does NOT recommend using it in the vicinity of any implant – no data, just being cautious, I’m sure. I would apply the PEMF in the neck area, for example, where the lymph nodes are, thus staying away from the teeth. Fortunately the beneficial effects are not just local. Many of the benefits of the blood electrifier are realized when using the PEMF, in particular, the improvement in the blood flow and quality. You can put it anywhere ‘safe’ on the body and the rest of the body will realize some benefit. I am interested in the sources for the Devices. and would like to use Devices. I send these responses to your private email. I also emailed you a month ago with some of this info. Please check your spam folder. Love your site…..could you please send me more information on the PEMF and micro current devices you use or recommend. Thank you! Take care…. I have been reading your site and have some hope for the future now. I have been to lots of doctors and treatment centers without success. I am interested in a bio tuner and did not see instructions for this in the three Dr. Becks pdf’s. Can you please advise me on how to obtain one of these. Thank you for all you do to help the sick. I sent a private email. I am interested in the Brain Tuner and PEMF devices, could you please send me information? Brenda will give you the info to order the device. I can’t post it here, since I describe its utility. Yes, it is very safe. Please read this info.